Harvard University Press. PAPERBACK. 0674741137 Brand new book.Buy with confidence. Money Back Guarantee.Expedite Shipping Available. International shipment available. . New. 1994-05-03. New. Ships with Tracking Number! INTERNATIONAL WORLDWIDE Shipping available. Buy with confidence, excellent customer service! 1993-03-09. New. Ships with Tracking Number! INTERNATIONAL WORLDWIDE Shipping available. Buy with confidence, excellent customer service! Harvard University Press. Hardcover. 0674741129 New Condition *** Right Off the Shelf | Ships within 2 Business Days ~~~ Customer Service Is Our Top Priority! - Thank you for LOOKING :-) . New. Cambridge, MA, U.S.A.: Harvard University Press, 1993. 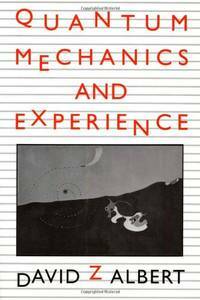 Publisher: Harvard University Press, 1993, V.Good, HB, ISBN: 0-674-74112-9. Hard Cover. Very Good. Harvard University Press. Hardcover. 0674741129 New Condition. . New. 1994-05-03. Good. Ships with Tracking Number! INTERNATIONAL WORLDWIDE Shipping available. May not contain Access Codes or Supplements. May be ex-library. Shipping & Handling by region. Buy with confidence, excellent customer service! Harvard University Press, 1993-01-25. Hardcover. Used:Good. Harvard University Press, 1994-03-15. Paperback. Used:Good. Harvard University Press. PAPERBACK. 0674741137 Brand New ,Original Book , Direct from Source , Express 5-8 Business days worldwide Delivery. . New. 1993-03-09. Good. Ships with Tracking Number! INTERNATIONAL WORLDWIDE Shipping available. May not contain Access Codes or Supplements. May be ex-library. Shipping & Handling by region. Buy with confidence, excellent customer service! Cambridge, Massachusetts: Harvard University Press, 1992. Hardcover. Fine/Very Good. First edition. Fine in a very good dustwrapper with a slightly darkened spine, two small tears and a crease, and light wear to the head of the spine. Paperback. New. This account of the foundations of quantum mechanics is an introduction accessible to anyone with high school mathematics, and provides a rigorous discussion of important recent advances in the understanding of quantum physics, including theories put forward by the author himself. Cambridge, MA: Harvard University Press. Fine in Very Good dust jacket. 1992. Cloth. 0674741129 . A charming edition in Fine condition in a Very Good dust-jacket with little soiling to the surfaces and tearing around the trim ; An original investigation, as well as a novel attempt at writing about science in a style that is simultaneously elementary and deep. A lucid introduction to the foundations of quantum mechanics . Cambridge: Harvard University Press. 1992. First Edition; First Printing. Hardcover. 0674741129 . Book condition is Very Good; with a Very Good dust jacket. Weak toning to jacket at spine. Short tear to jacket crown at front panel. Text is clean and unmarked. ; 8vo 8" - 9" tall; 222 pages . Cambridge and London: Harvard University Press, 1993. 2d Printing. [xi] 206p., b/w figures, dj. Oxford University Press/Oxford, New York, 1995. 1st Edition 4th Printing. Soft cover. Fine. 694 pp. Book/dust jacket condition: F/na (paperback). Fourth/4th Printing. Likely unread, and very clean. Extra postage (weight). All orders are processed and shipped from MI or WI, USA. Harvard University Press. Hardcover. 0674741129 Like New Condition. . Fine. Cambridge, Massachusetts: Harvard University Press, 1992. 206 pp. White endpapers. Grey cloth. Corners bumped. White DJ, not price-clipped. Light wear along the edges. VG+/VG+. Harvard University Press, 1994-03-15. Paperback. Good. Cambridge: Harvard University Press, 1994. Hard cover in dust jacket. Published Cambridge: Harvard University Press, 1994. Fourth printing. 206 pp. As new in dj.. Hard. As New/As New. 8vo..
Cambridge, MA: Harvard University Press, 1993. Second printing. Grey cloth. pp 206, index. Fine in fine jacket. . Hardcover. Octavo. Cambridge, MA: Harvard University Press, 1992. Hardcover. Fine/Fine. Hardcover in dust jacket. Fourth printing (1994) of first edition. Book is As New, crisp and clean, with tight binding and sharp corners. Unpriced dust jacket is also As New, fresh and bright. An introduction to the foundations of quantum mechanics. 8vo. 206 pp. including index. In protective Mylar. MA: Harvard, 1994. Hardcover. Fine/Fine. Third edition. Fine in fine dustwrapper. Please Note: This book has been transferred to Between the Covers from another database and might not be described to our usual standards. Please inquire for more detailed condition information. Harvard University Press, 1992. Hardcover. Very Good. Harvard University Press, 1992. Very good. , Hardcover, Hardcover in dust jacket. 206 pages. Clean, tight. 0674741129. Out-of-print and antiquarian booksellers since 1933. We pack and ship with care. Cambridge, MA & London:: Harvard University, (1993)., 1993. 236 x 159 mm. 8vo. x, 206 pp. Illus., bibliog., index. Gray cloth, dust-jacket. Fine. Cambridge, MA: Harvard Univ. Press, (1992).. Fine in Very Good Plus Dust Jacket with a single small edge tear. . Very Good. Hardcover. Second Printing. 1992. Cambridge, MA: Harvard Univ Pr. H Hard Cover. Fine. Dust Jacket Condition: Fine. x, 206 pp, preface, 8 chapters with footnotes, appendix: The Kochen-Healy-Dieks Interpretations, bibliography, index with b&w figures. Second Printing, 1993. Pristine, no wear. Clean, tight and strong binding with no underlining, highlighting or marginalia. Grey cloth. Cambridge, MA: Harvard University Press, 1993 ISBN 0-674-74112-9 Octavo (9.25 in. by 6.25 in. ); 206pp. ; fine hardcover; very good dust jacket; lightly age-toned dust jacket edges, spine; crisp; clean; bright..
Cumbreland, Rhode Island, U.S.A.: Harvard Univ Pr, 1992 first edition/second printing book is tight with no markings, dj has light rubbing, edges have curling/creasing along with a few small tears. First Edition/Second Printing. Hardcover. Fine/Very Good. 8vo - over 7¾" - 9¾" tall. Book. Harvard University Press, 1993-01-25. Hardcover. Very Good. Harvard University Press. Used - Good. All orders guaranteed and ship within 24 hours. Your purchase supports More Than Words, a nonprofit job training program for youth, empowering youth to take charge of their lives by taking charge of a business. Harvard University Press, 1994. Pages: 206; Weight: 1lb 0.8oz; Size: 9.4" x 6.3" x 0.8". Jacket has light rubbing, otherwise clean, unmarked, tight. . Very Good. Hard Cover. . . .
Harvard University Press, 1995. Hard Cover. Very Good/Very Good. Cambridge, MA: Harvard University Press, 1993. Cloth. Fine/No Jacket. 8vo - over 7¾" - 9¾" Tall. x, 206 pp. Second printing. The problem of measurement in quantum mechanics. Cambridge: Harvard University Press, 1994. Study of quantum mechanics' effect on what we can know, emphasizing problems of measurement in the light of uncertainty of the exact whereabouts of subatomic particles. Fourth printing. Hardcover, full grey cloth. Light wear to book, minor edgewear to jacket, hint of spine fade. Text clean. . Later Printing. Hard Cover. Very Good/Very Good. Octavo. Cambridge, MA: Harvard University Press, 1992. First Edition. Cloth. Fine/Near Very Good. 8vo - over 7¾" - 9¾" Tall. x, 206 pp. The jacket has two 1/2" closed tears, one each at the upper and lower edges. The problem of measurement in quantum mechanics. Harvard University Press. Very Good in Very Good dust jacket. 1993. Hardcover. 0674741129 . 9.10 X 6.20 X 1.10 inches; 222 pages . Cambridge, MA: Harvard University Press, 1994. 1st Edition 3rd Printing. Hardcover. As New/As New. 8vo - over 7¾ - 9¾" tall. Harvard University Press, Cambridge, MA. 1994. Hardcover. Stated 3rd Printing. Book is tight, square, and unmarked. Book Condition: As New; pp 50-58 have bumped upper corners from fellow book strike. DJ: As New. Gray cloth boards and spine with bright red lettering on spine. 206 pp 8vo. This book is an original and provocative investigation of the challenge of investigations something that challenges our most cherished conceptions of nature as well as a novel attempt at writing about science in a style that is simultaneously elementary and deep. It is a lucid and self-contained introduction to the foundations of quantum mechanics and at the same time a rigorous discussion of the most important recent advances in our understanding of that subject. A clean pristine copy. Cambridge: Harvard Univ. Press, 1994,. Hard bound, 2nd printing, illustrated, 206pp inc. bibliography & index. As new in Very good+ dust jacket. Cumbreland, Rhode Island, U.S.A.: Harvard Univ Pr, 1992. 206pp including bibliography and index Previous owner's name inside front cover near top edge, otherwise book is AS NEW. Cloth Hardback. Very Good/Very Good.